Authors: Astakhov Y.S., Nechiporenko P.A. This literature review is focused on the prostaglandin topical analogues and describes peculiarities of their structure, pharmacokinetics and pharmacodynamics, results of clinical trials and meta-analyzes, as well as modern trends in the topical IOP-lowering glaucoma therapy evolution. prostaglandin analogues, latanoprost, glaucoma, treatment. Alm A, Grierson I, Shields MB. Side effects associated with prostaglandin analog therapy. Surv Ophthalmol. 2008;53Suppl1: S93-S105. doi: 10.1016/j.survophthal.2008.08.004. Alm A, Schoenfelder J, McDermott J. A 5-year, multicenter, open-label, safety study of adjunctive latanoprost therapy for glaucoma. Arch Ophthalmol. 2004;122:957-965. doi: 10.1001/archopht.122.7.957. Alm A, Villumsen J, Tornquist P, et al. Intraocular pressure-reducing effect of PhXA41 in patients with increased eye pressure: a one-month study. Ophthalmology. 1993Sep;100:1312-7. doi: 10.1016/S0161-6420(93)31482-X. Alm A. Latanoprost in the treatment of glaucoma. Clinical Ophthalmology. 2014;8:1967-1985. American Academy of Ophthalmology Glaucoma Panel. Primary open-angle glaucoma suspect. San Francisco (CA): American Academy of Ophthalmology; 2010. Aptel F, Cucherat M, Denis P. Efficacy and tolerability of prostaglandin analogs: a meta-analysis of randomized controlled clinical trials. J Glaucoma. 2008;17:667-673. doi: 10.1097/IJG.0b013e3181666557. Aptel F. Preservative-free versus preserved latanoprost eye drops in patients with open-angle glaucoma or ocular hypertension. Current Medical Research and Opinion. 2016;32(8):1457-1463. doi: 10.1080/03007995.2016.1202818. Aref AA. Sustained drug delivery for glaucoma: current data and future trends. Curr Opin Ophthalmol. 2016 Oct 19. [Epub ahead of print; doi: 10.1097/ICU.0000000000000334]. Asrani S, Zeimer R, Wilensky J, et al. Large diurnal fluctuations in intraocular pressure are an independent risk factor in patients with glaucoma. J Glaucoma. 2000;9:134-42. doi: 10.1097/00061198-200004000-00002. Bacharach J, Dubiner HB, Levy B, et al. Double-masked, randomized, dose-response study of AR-13324 versus latanoprost in patients with elevated intraocular pressure. Ophthalmology. 2015;122:302-7. doi: 10.1016/j.ophtha.2014.08.022. Bacharach J. Rho Kinase/Norepinephrine Transporter Inhibition for the Treatment of Glaucoma and Ocular Hypertension. Glaucoma Today. 2016 Mar/Apr 2;14:43-45. Bill A. Conventional and uveoscleral drainage of aqueous humour in the cynomolgus monkey (Macaca irus) at normal and high intraocular pressures. Exp Eye Res. 1966;5:45-54. doi: 10.1016/S0014-4835(66)80019-2. Bill A. Movement of albumin and dextran through the sclera. Arch Ophthalmol. 1965;74:248-252. doi: 10.1001/archopht.1965.00970040250024. Bill A. The aqueous humour drainage mechanism in the cynomolgus monkey (Macaca irus) with evidence for unconventional routes. Invest Ophthalmol Vis Sci. 1965;4:911-919. Bill A, Barany EH. Gross facility, facility of conventional routes, and pseudofacility of aqueous humor outflow in the cynomolgus monkey. Arch Ophthalmol. 1966;75(5):665-673. doi: 10.1001/archopht.1966.00970050667017. Bill A, Phillips CI. Uveoscleral drainage of aqueous humour in human eyes. Exp Eye Res. 1971;12(3):275-281. doi: 10.1016/0014-4835(71)90149-7. Boland MV, Ervin AM, Friedman DS, et al. Comparative effectiveness of treatments for open-angle glaucoma: a systematic review for the U.S. Preventive Services Task Force. Ann Intern Med. 2013;158:271-9. doi: 10.7326/0003-4819-158-4-201302190-00008. Cheng JW, Cai JP, Li Y, et al. A meta-analysis of topical prostaglandin analogs in the treatment of chronic angle-closure glaucoma. J Glaucoma. 2009;18:652-7. doi: 10.1097/IJG.0b013e31819c49d4. Cheng JW, Wei RL. Meta-analysis of 13 randomized controlled trials comparing bimatoprost with latanoprost in patients with elevated intraocular pressure. Clin Ther. 2008;30:622-632. doi: 10.1016/j.clinthera.2008.04.006. Chuman H, Chuman T, Nao-i N, Sawada A. The effect of L-arginine on intraocular pressure in the human eye. Curr Eye Res. 2000;20(6):511-516. doi: 10.1076/0271-3683(200006)2061-YFT511. Connor AJ, Fraser SG. Glaucoma prescribing trends in England 2000 to 2012. Eye (Lond). 2014;28:863-9. doi: 10.1038/eye.2014.114. Cucherat M, Stalmans I, Rouland JF. Relative efficacy and safety of preservative-free latanoprost (T2345) for the treatment of open-angle glaucoma and ocular hypertension: an adjusted indirect comparison meta-analysis of randomized clinical trials. J Glaucoma. 2014;23:e69-e75. doi: 10.1097/IJG.0b013e3182a075e6. 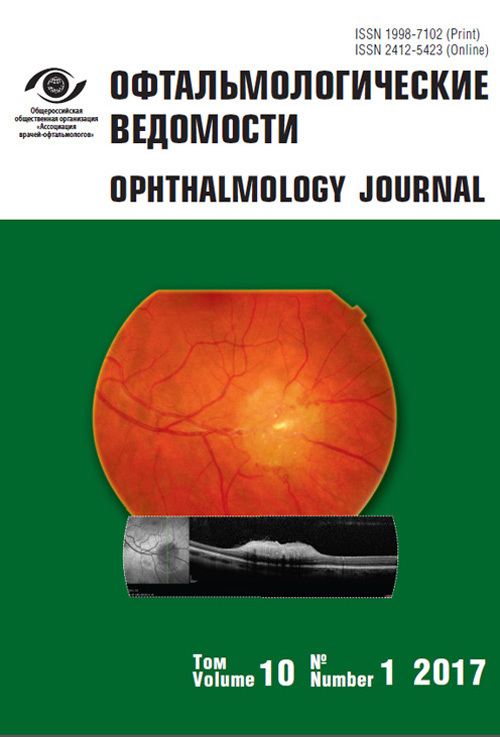 Daka Q, Trkulja V. Efficacy and tolerability of mono-compound topical treatments for reduction of intraocular pressure in patients with primary open angle glaucoma or ocular hypertension: an overview of reviews. Croat Med J. 2014;55(5):468-480. doi: 10.3325/cmj.2014.55.468. Dams I, et al. Therapeutic uses of prostaglandin F2 analogues in ocular disease and novel synthetic strategies. Prostaglandins & Other Lipid Mediat. 2013Jul-Aug;104-105:109-21. doi: 10.1016/j.prostaglandins.2013.01.001. Denis P, Lafuma A, Khoshnood B, et al. A meta-analysis of topical prostaglandin analogues intraocular pressure lowering in glaucoma therapy. Curr Med Res Opin. 2007;23:601-8. doi: 10.1185/030079907X178720. Dhillon J. Rhokinase Inhibitors-A Novel Potential Treatment Modality in Glaucoma. Delhi J Ophthalmol. 2016;26;272-4. doi: 10.7869/djo.189. European Glaucoma Society. Terminology and guidelines for glaucoma. http://www.eugs.org/eng/EGS_guidelines4.asp. Ссылка активна на 3.12.2016. Eyawo O, Nachega J, Lefebvre P, et al. Efficacy and safety of prostaglandin analogues in patients with predominantly primary open-angle glaucoma or ocular hypertension: a meta-analysis. Clin Ophthalmol. 2009;3:447-456. Fuma S, Shimazawa M, Imamura T, et al. Neuroprotective Effect of Ocular Hypotensive Drugs: Latanoprost/Timolol in Combination Are More Effective than Each as Monotherapy in RGC-5. Biol Pharm Bull. 2016;39(2):192-8. doi: 10.1248/bpb.b15-00584. Funke S, Beck S, Lorenz K, et al., Analysis of the effects of preservative-free tafluprost on the tear proteome. Am J Transl Res. 2016;8(10):4025-4039. Gandolfi S, Simmons ST, Sturm R, et al. Three-month comparison of bimatoprost and latanoprost in patients with glaucoma and ocular hypertension. Adv Ther. 2001;18:110-121. doi: 10.1007/BF02850299. Garcia GA, Ngai P, Mosaed S, Lin KY. Critical evaluation of latanoprostene bunod in the treatment of glaucoma. Clin Ophthalmol. 2016Oct18;10:2035-2050. doi: 10.2147/OPTH.S103985. Garway-Heath DF, Crabb DP, Bunce C, et al. Latanoprost for open-angle glaucoma (UKGTS): a randomised, multicentre, placebo-controlled trial. Lancet. 2015Apr4;385(9975):1295-304. doi: 10.1016/S0140-6736(14)62111-5. Heijl A, Leske MC, Bengtsson B, et al. Reduction of intraocular pressure and glaucoma progression: results from the Early Manifest Glaucoma Trial. Arch Ophthalmol. 2002;120:1268-79. doi: 10.1001/archopht.120.10.1268. Holmin C, Thorburn W, Krakau CE. Treatment versus no treatment in chronic open angle glaucoma. Acta Ophthalmol Copenh. 1988;66:170-73. doi: 10.1111/j.1755-3768.1988.tb04006.x. Holmstrom S, Buchholz P, Walt J, et al. Analytic review of bimatoprost, latanoprost and travoprost in primary open angle glaucoma. Curr Med Res Opin. 2005;21:1875-83. doi: 10.1185/030079905X65600. Honrubia F, Garcia-Sánchez J, Polo V, et al. Conjunctival hyperaemia with the use of latanoprost versus other prostaglandin analogues in patients with ocular hypertension or glaucoma: a meta-analysis of randomised clinical trials. Br J Ophthalmol. 2009;93:316-321. doi: 10.1136/bjo.2007.135111. Hotehama Y, Mishima HK, Kitazawa Y, et al. Ocular hypotensive effect of phXA41 in patients with ocular hypertension or primary open-angle glaucoma. Jpn J Ophthalmol. 1993;37(3):270-4. Hughes E, Spry P, Diamond J. 24-hour monitoring of intraocular pressure in glaucoma management: a retrospective review. J Glaucoma. 2003;12:232-6. doi: 10.1097/00061198-200306000-00009. Kara C, Şen EM, Elgin KU, et al. Does the intraocular pressure-lowering effect of prostaglandin analogues continue over the long term? Int Ophthalmol. 2016Aug 9. [Epub ahead of print; doi: 10.1007/s10792-016-0315-3]. Konstas AGP, et al. 24-h Efficacy of Glaucoma Treatment Options. Adv Ther. 2016;33:481-517. doi: 10.1007/s12325-016-0302-0. Konstas AG, Katsimbris JM, Lallos N, et al. Latanoprost 0.005% versus bimatoprost 0.03% in primary open-angle glaucoma patients. Ophthalmology. 2005;112:262-266. doi: 10.1016/j.ophtha.2004.08.022. Konstas AG, Mantziris DA, Cate EA, Stewart WC. Effect of timolol on the diurnal intraocular pressure in exfoliation and primary open-angle glaucoma. Arch Ophthalmol. 1997;115:975-9. doi: 10.1001/archopht.1997.01100160145002. Konstas AG, Mantziris DA, Stewart WC. Diurnal intraocular pressure in untreated exfoliation and primary open-angle glaucoma. Arch Ophthalmol. 1997;115:182-5. doi: 10.1001/archopht.1997.01100150184006. Kotikoski H, Alajuuma P, Moilanen E, et al. Comparison of nitric oxide donors in lowering intraocular pressure in rabbits: role of cyclic GMP. J Ocul Pharmacol Ther. 2002;18(1):11-23. doi: 10.1089/108076802317233171. Lee AJ, McCluskey P. Clinical utility and differential effects of prostaglandin analogs in the management of raised intraocular pressure and ocular hypertension. Clin Ophthalmol. 2010Jul 30;4:741-764. Lewis RA, Levy B, Ramirez N, et al. Fixed-dose combination of AR-13324 and latanoprost: a double-masked, 28-day, randomised, controlled study in patients with open-angle glaucoma or ocular hypertension. Br J Ophthalmol. 2016;100:339-44. doi: 10.1136/bjophthalmol-2015-306778. Li N, Chen XM, Zhou Y, et al. Travoprost compared with other prostaglandin analogues or timolol in patients with open-angle glaucoma or ocular hypertension: meta-analysis of randomized controlled trials. Clin Exp Ophthalmol. 2006;34:755-64. doi: 10.1111/j.1442-9071.2006.01237.x. Li T, et al. Comparative Effectiveness of First-Line Medications for Primary Open-Angle Glaucoma: A Systematic Review and Network Meta-analysis. Ophthalmology. 2016Jan;123(1):129-40. doi: 10.1016/j.ophtha.2015.09.005. Lin L, Zhao YJ, Chew PTK, et al. Comparative efficacy and tolerability of topical prostaglandin analogues for primary open-angle glaucoma and ocular hypertension. Annals of Pharmacotherapy. 2014;1-9. doi: 10.1177/1060028014548569. Nagasubramanian S, Sheth GP, Hitchings RA, et al. Intraocular pressure-reducing effect of PhXA41 in ocular hypertension: comparison of dose regimens. Ophthalmology. 1993Sep;100:1305-11. doi: 10.1016/S0161-6420(13)31817-X. Narayanaswamy A, et al. A randomized, crossover, open label pilot study to evaluate the efficacy and safety of Xalatan® in comparison with generic Latanoprost (Latoprost) in subjects with primary open angle glaucoma or ocular hypertension. Indian J Ophthalmol. 2007;55:127-31. doi: 10.4103/0301-4738.30707. Nathanson JA. Nitrovasodilators as a new class of ocular hypotensive agents. J Pharmacol Exp Ther. 1992;260(3):956-965. Noecker RS, Dirks MS, Choplin NT, et al. A six-month randomized clinical trial comparing the intraocular pressure-lowering efficacy of bimatoprost and latanoprost inpatients with ocular hypertension or glaucoma. Am J Ophthalmol. 2003;135:55-63. doi: 10.1016/S0002-9394(02)01827-5. Oh DJ, Martin JL, Williams AJ, et al. Effect of latanoprost on the expression of matrix metalloproteinases and their tissue inhibitors in human trabecular meshwork cells. Invest Ophthalmol Vis Sci. 2006;47:3887-3895. doi: 10.1167/iovs.06-0036. Orme M, Collins S, Dakin H, et al. Mixed treatment comparison and meta-regression of the efficacy and safety of prostaglandin analogues and comparators for primary open-angle glaucoma and ocular hypertension. Curr Med Res Opin. 2010;26:511-528. doi: 10.1185/03007990903498786. Orzalesi N, Rossetti L, Invernizzi T, et al. Effect of timolol, latanoprost, and dorzolamide on circadian IOP in glaucoma or ocular hypertension. Invest Ophthalmol Vis Sci. 2000;41:2566-73. Parrish RK, Palmberg P, Sheu WP, XLT Study Group. A comparison of latanoprost, bimatoprost, and travoprost in patients with elevated intraocular pressure: a 12-week, randomized, masked-evaluator multicenter study. Am J Ophthalmol. 2003;135:688-703. doi: 10.1016/S0002-9394(03)00098-9. Patel SS, Spencer CM. Latanoprost: A Review of its Pharmacological Properties, Clinical Efficacy and Tolerability in the Management of Primary Open-Angle Glaucoma and Ocular Hypertension. Drugs & Aging. 1996Nov;9(5):363-378. doi: 10.2165/00002512-199609050-00007. Racz P. Ruzsonyi MR, Nagy ZT, et al. Maintained intraocular pressure reduction with once-a-day application of a new prostaglandin F2α analogue (PhXA41). An in-hospital, placebo-controlled study. Arch Ophthalmol. 1993May;III:657-61. doi: 10.1001/archopht.1993.01090050091036. Richter M, Krauss AH, Woodward DF, Lutjen-Drecoll E. Morphological changes in the anterior eye segment after long-term treatment with different receptor selective prostaglandin agonists and a prostamide. Invest Ophthalmol Vis Sci. 2003;44:4419-26. doi: 10.1167/iovs.02-1281. Rockville MD. Agency for Healthcare Research and Quality (US); 2012 (Comparative Effectiveness Reviews, No. 60.) Доступно по: http://www.ncbi.nlm.nih.gov/books/NBK95391/. Ссылка активна на 7.08.2014. Sanford M. Preservative-Free Latanoprost Eye Drops in Patients with Primary Open-Angle Glaucoma/Ocular Hypertension. Clin Drug Investig. 2014;34:521-528. doi: 10.1007/s40261-014-0203-4. Schmier JK, Lau EC, Covert DW. Two-year treatment patterns and costs in glaucoma patients initiating treatment with prostaglandin analogs. Clin Ophthalmol. 2010;4:1137-43. doi: 10.2147/OPTH.S13884. Schuman JS, Erickson K, Nathanson JA. Nitrovasodilator effects on intraocular pressure and out ow facility in monkeys. Exp Eye Res. 1994;58(1):99-105. doi: 10.1006/exer.1994.1199. Stamer WD, Lei Y, Boussommier-Calleja A, et al. eNOS, a pressure-dependent regulator of intraocular pressure. Invest Ophthalmol Vis Sci. 2011;52(13):9438-9444. doi: 10.1167/iovs.11-7839. Stewart WC, Kolker AE, Stewart JA, et al. Conjunctival hyperemia in healthy subjects after short-term dosing with latanoprost, bimatoprost, and travoprost. Am J Ophthalmol. 2003;135:314-320. doi: 10.1016/S0002-9394(02)01980-3. Stewart WC, Konstas AG, Nelson LA, Kruft B. Meta-analysis of 24-hour intraocular pressure studies evaluating the efficacy of glaucoma medicines. Ophthalmology. 2008;115:1117-22(e1). Stjernschantz J, Alm A. Latanoprost as a new horizon in the medical management of glaucoma. Curr Opin Ophthalmol. 1996Apr;7(2):11-17. doi: 10.1097/00055735-199604000-00003. Stjernschantz J, Resul B. Phenyl substituted prostaglandin analogs for glaucoma treatment. Drugs Future. 1992;17:691-704. doi: 10.1358/dof.1992.017.08.187766. Stjernschantz J, Selén G, Sjöquist B, et al. Preclinical pharmacology of latanoprost, a phenyl-substituted PGF2α analogue. Adv Prostaglandin Thromboxane Leukotriene Res. 1995;23:513-8. Tajunisah I, Reddy SC, Fathilah J. Diurnal variation of intraocular pressure in suspected glaucoma patients and their outcome. Graefes Arch Clin Exp Ophthalmol. 2007;245:1851-7. doi: 10.1007/s00417-007-0681-7. Tan J, Berke S. Latanoprost-Induced Prostaglandin-Associated Periorbitopathy. Optometry and Vision Science. 2013;90(9):245-247. doi: 10.1097/OPX.0b013e31829d8dd7. Tanihara H, Inoue T, Yamamoto T, et al. for K-115 Clinical Study Group. One-year clinical evaluation of 0.4% ripasudil (K-115) in patients with open-angle glaucoma and ocular hypertension. Acta Ophthalmol. 2016;94:e26-34. doi: 10.1111/aos.12829. Tham YC, et al. Global Prevalence of Glaucoma and Projections of Glaucoma Burden through 2040. A Systematic Review and Meta-Analysis. Ophthalmology. 2014:121(11);2081-90. doi: 10.1016/j.ophtha.2014.05.013. Traverso CE, Ropo A, Papadia M, Uusitalo H. A phase II study on the duration and stability of the intraocular pressure-lowering effect and tolerability of ta uprost compared with latanoprost. J Ocul Pharmacol Ther. 2010;26:97-104. doi: 10.1089/jop.2009.0066. Uusitalo H, Egorov E, Kaarniranta K, et al. Benefits of switching from latanoprost to preservative-free tafluprost eye drops: a meta-analysis of two Phase IIIb clinical trials. Clin Ophthalmol. 2016 Mar15;10:445-54. doi: 10.2147/OPTH.S91402. Uusitalo H, Pillunat LE, Ropo A. Phase III Study Investigators. Efficacy and safety of ta uprost 0.0015% versus latanoprost 0.005% eye drops in open-angle glaucoma and ocular hypertension: 24-month results of a randomized, double-masked phase III study. Acta Ophthalmol. 2010;88:12-19. doi: 10.1111/j.1755-3768.2010.01862.x. Van der Valk R, Webers CA, Schouten JS, et al. Intraocular pressure-lowering effects of all commonly used glaucoma drugs: a meta-analysis of randomized clinical trials. Ophthalmology. 2005;112:1177-85. doi: 10.1016/j.ophtha.2005.01.042. Voss K, Falke K, Bernsdorf A, et al. Development of a novel injectable drug delivery system for subconjunctival glaucoma treatment. J Control Release. 2015Sep28;214:1-11. doi: 10.1016/j.jconrel.2015.06.035. Walters TR, DuBiner HB, Carpenter SP, et al. 24-Hour IOP control with once-daily bimatoprost, timolol gel-forming solution, or latanoprost: a 1-month, randomized, comparative clinical trial. Surv Ophthalmol. 2004;49 Suppl1: S26-S35. doi: 10.1016/j.survophthal.2003.12.017. Wang JW, Woodward DF, Stamer WD. Differential effects of prostaglandin E2-sensitive receptors on contractility of human ocular cells that regulate conventional outflow. Invest Ophthalmol Vis Sci. 2013;54:4782-4790,doi: 10.1167/iovs.13-12363. Wax MB, Camras CB, Fiscella RG, et al. Emerging perspectives in glaucoma: optimizing 24-hour control of intraocular pressure. Am J Ophthalmol. 2002;133(Suppl): S1-10. doi: 10.1016/S0002-9394(02)01459-9.
WHO web link: http://www.who.int/medicines/publications/essentialmedicines/EML2015_8-May-15.pdf. Ссылка активна на 3.12.2016. Wilensky JT. Diurnal variations in intraocular pressure. Trans Am Ophthalmol Soc. 1991;89:757-90. Wilensky JT. The role of diurnal pressure measurements in the management of open angle glaucoma. Curr Opin Ophthalmol. 2004;15:90-2. doi: 10.1097/00055735-200404000-00005. Wizemann AJ, Wizemann V. Organic nitrate therapy in glaucoma. Am J Ophthalmol. 1980;90(1):106-109. doi: 10.1016/S0002-9394(14)75085-8. Yamagishi R, Aihara M, Araie M. Neuroprotective effects of prostaglandin analogues on retinal ganglion cell death independent of intraocular pressure reduction. Exp Eye Res. 2011Sep;93(3):265-70. doi: 10.1016/j.exer.2011.06.022. Yamamoto K, Sato K, Yukita M, et al. The neuroprotective effect of latanoprost acts via klotho-mediated suppression of calpain activation after optic nerve transection. J Neurochem. 2016Nov15. [Epub ahead of print; doi: 10.1111/jnc.13902]. Copyright (c) 2017 Astakhov Y.S., Nechiporenko P.A.